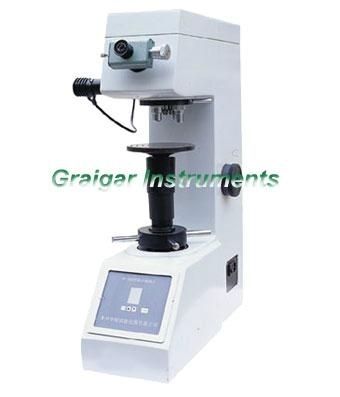 HV-50A Vickers Hardness Tester is suitable to determine the Vickers hardness of steel, non-ferrous metals, ceramics and treated layers of metal surface, etc. It's suitable to determine the Vickers hardness of steel, non-ferrous metals, ceramics and treated layers of metal surface, etc. Vickers standardized block: 3 pcs.